This paper describes a method to reduce the torque ripple for the Wound Field Synchronous Motor, which does not use a permanent magnet. When a WFSM is used in an Integrated Starter Generator system, it must have a higher power density than other automotive motors in order to satisfy the size constraints and required power. An increase in the power density creates a magnetic flux saturation in the rotor, and this soon becomes the cause of an increase in the torque ripple of motor. 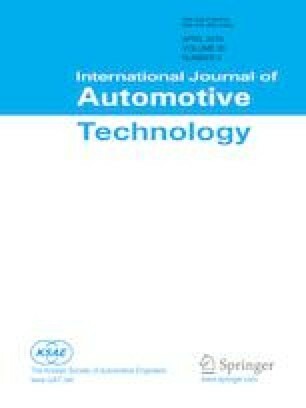 An increase in the torque ripple can degrade the Noise Vibration Harshness characteristics of automotive by creating vibration and noise in the engine start-up mode, in which the maximum torque is generated in an ISG system. This paper proposes a method of reducing the torque ripple via a design that uses a flux barrier model in the WFSM’s rotor. The Response Surface Method is used to optimize the flux barrier model, and Finite Element Method is used to to verify the torque ripple reduction.